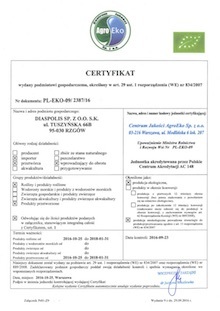 Company Diaspolis Sp. z o. o. Sp. 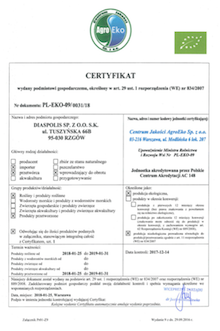 k. exist on the market from 2010. From the very begining the quality of offered raw materials was our priority. 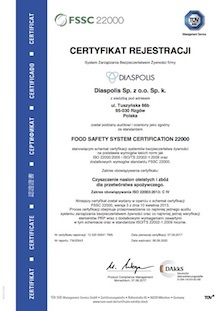 To ensure the health safety of the products along with the principles of good manufacturing and hygiene practice and the HACCP system, we also implemented food safety system in accordance to ISO 22 000:2005 standard. 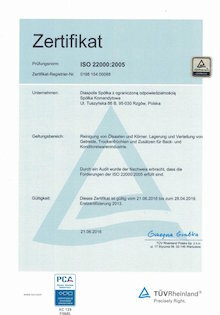 In 2013 was obtained positive recomendation from Tüv Rheinland certification body. In recent years our company implemented requirements to ISO/TS 22002-1:2009 standard and additional requirements to FSSC standard , which allowed us to look at the functioning processes in a wider manner and to control them more effectively. 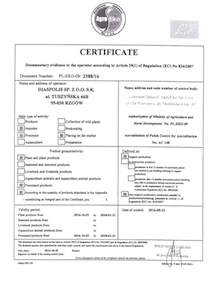 In September 2017 we obtain positive recommendation from Tüv Süd for compliance with the FSSC standard. 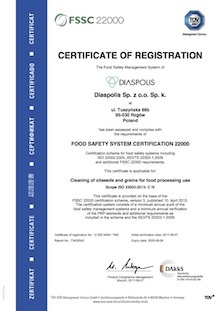 It is recognized by GFSI - Global Food Safety Initiatve. Certification of the food safety system by FSSC allows us to approach the problem of food safety at the international level and cooperate with clients working on the basis of standards BRC and IFS, with which the system is fully compliant. 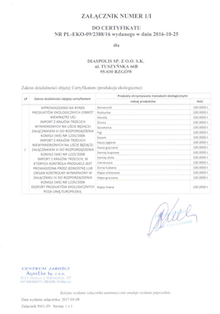 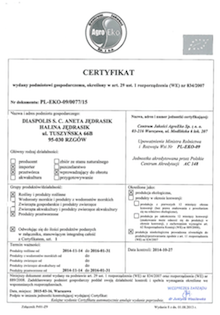 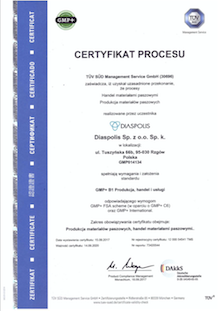 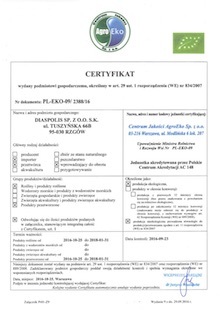 Diaspolis has obtained an Ecological Certificate for both processing and marketing of organic materials. 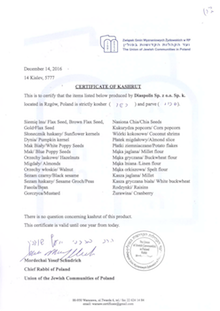 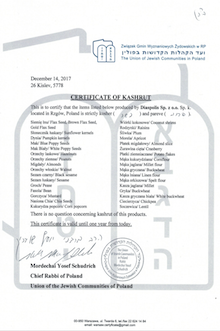 The offered products also have Kosher status.